As, usual, Mark, your blog was much enjoyed and is spot on. Great piece of writing as always. Nailed it. i’ve read and heard so much rubbish following the Alliston trial. Quite despairing the level of debate in some sections of the media. Think i’ll make it a point not to read any more about it. Not good for my blood pressure. The really dismaying aspect is that, yet again, the cheapness of a cyclist’s life when killed by a motorised road user is brought into sharp focus. Excellent piece Mark as ever. Amongst the media frenzy (that may even yet allow for some steam to be let from the ‘bikelash’…? I live in hope), even the Guardian’s article was headlined: ‘Ex-courier convicted for “m o w i n g” down woman on his track bike’. Thanks also to the excellent piece on the RDRF site. The starkness of perspective is highlighted perfectly. The tweeted remarks by the Nick Freeman character reminded me of a recent Private Eye cartoon, where someone prone to getting worked up, has taken their laptop to be repaired. The technician is seen asking; “have you been frothing into the keyboard”. Any attempt to impose ‘punishment’ legislation on cyclists should be opposed – first by civil disobedience, and then should enforcement be sought, resistance should be by armed force. It’s always been about identity and class issues. Many drivers perceive themselves as being superior to people walking or cycling. It’s not a rational mindset, and the strange behaviours and rantings of these drivers is not rational. By the same token, rational argument isn’t going to change their minds. That’s why it’s important to build and maintain a political movement of people who support sustainable transport and safer streets. But as you have written, there will be enemies, people who attack you for no rational reason, and that’s a good sign of positive change. One factor in the strategy to defeat the populists, which were standing up for poor American farmers, was to drive a wedge between the poor black farmers and the poor white farmers by promoting segregation. If you were a poor white farmer you could think to yourself “well, I may be poor, but at least I’m not black”. Cars as an aspiration are a bit like white supremacism. Originally the preserve of the fabulously wealthy, cars have become cheaper, but still retain their allure as status symbols. You can see this from all the car adverts. You may still live in a grotty part of town and have a miserable job, but at least if you have a car and drive to work you’re better than that failure of a man who’s still travelling on the bus beyond the age of 26. Or worse still, riding a bicycle. You can be part of the in crowd, the vast majority, the privileged, simply by getting in that car. But like with the poor American white farmers, although it might make you feel good to identify with the wealthier car owners, it won’t lead to policies that make your neighbourhood a better place to live, and having a car won’t actually make you richer or happier. Excellent article. Another point is that 80% of cyclists also hold a driving licence (source: Gov.UK press release “Drivers and cyclists agree “let’s look out for each other”” https://www.gov.uk/government/news/drivers-and-cyclists-agree-lets-look-out-for-each-other). Therefore if 80% of those cyclists who annoy motorists took their cars instead, the roads would be further congested, thus causing even more annoyance. Perhaps all regular cycle commuters should have an annual “drive your car to work day” to illustrate this point. I don’t consider introducing mandatory training as punishing cyclists, surely it is about making them safer. More stringent training and testing for young new car drivers wasn’t seen as punishing them, why would it be so for road cyclists? At the very least, there should be far more initiatives to encourage cyclists who are non drivers to learn the Highway Code, and for cyclists who are drivers to be taught the safest way to navigate traffic. I’m not a cyclist and would have no idea what I’m doing but I could go buy a bike and cycle through a city. I wouldn’t feel “punished” as a driver if mandatory refresher training was introduced to maintain a licence – and I say that as a driver who has an pretty good driving record of over 25 years and having done several advanced driver training courses. We all fall into bad habits and having someone look at what we are doing every once in a while is a good thing. Training protects cyclists, why are so many against it? Motorists not crashing into cyclists in the first place would protect a lot more than training, I’d hazard to guess. What makes you believe ‘so many’ [of ‘them’] are ‘against it’ anyway? The question is one of proportionality. Motoring tests were introduced as an absolutely minimum necessary response to the genuine epidemic of deaths and manglings at the hands of early motorists. Prior to that there were no tests—as our legal system is entirely reactive. 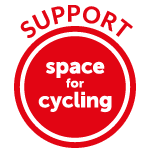 When cyclists start killing 35‍ ‍000 innocent victims per year against a UK population of 70‍ ‍000‍ ‍000, we’ll reconsider the equivalence argument in that light! Small steps, but I worked with HR to ensure it was mandatory for the 400 employees who claimed fuel allowance at my last company. I am working with my current employer to do the same for our 2500 employees. I know it is becoming more common for companies to do it. I did raise it with the transport minister in Scotland in 2014 but was told there are no plans and that was that. It is actually something I feel is very important. Because of this, I do advanced driver training from time to time. It is entirely possible to be sincere about something without becoming a serious campaigner for it. The reason I believe so many are against it is, every single time there is an issue raised about cyclist safety, the finger is pointed absolutely everywhere else and it is a problem with motorists hitting cyclists, never cyclists going into the path of cars. Everyone needs to take responsibility but whenever training is suggested for cyclists, the immediate reaction is – oh no, it’s the cars who are bad. You reinforced my point beautifully. Indeed. Not ‘everywhere else’: specifically and consistently at motoring. Which, as the objective source of practically all highways danger, is currently ‘absolutely everywhere’—and increasingly out-of-control. Clearly it must be touching a nerve, as no evidence is adduced for this claim of ‘them’ being ‘against’. Instead we just get a doubling-down on the whataboutery which we are expected to simply accept as truth. Foogirl asked the minister for non-‘mandatory’ (and also non-compulsory) not-notably-‘advanced’ motor training to be somehow officially encouraged in Scotland only, was rebuffed and then simply gave up? Now back to concentrating on comparatively tiny numbers at her employer instead? With such a track record, I’m hoping the motorist lobby will snap her up pronto as the lead campaigner for all their imagined cycling grievances! If a person chooses to drive a vehicle weighing thousands of kilograms or more, that person must drive it with the due care it requires. If that person is not capable of handling that responsibility then he or she should hand over the keys to someone who is. Quite simple really. The reason that training and licensing is necessary for motor vehicles is because they weigh hundreds of times more than any type of human-powered cycle. The kinetic energy generated by the movement of motor vehicles is proportional to mass, and is also proportional to the velocity squared. Motor vehicles weigh much more and move much faster than human-powered vehicles. Despite that training and licensing process, motor vehicle drivers kill and main tens of thousands of people per year in the UK alone. Therefore, we have a long way to go in terms of making motor vehicles safe and drivers accountable. Your attempts to deflect the conversation from the brutal killing and maiming of tens of thousands of people per year in the UK is nothing more than excuse-making and disgraceful on your part. No, those responsible need to take responsibility. It’s not complicated. What if, before you could learn to drive a car/ motorbike you had to pass a cycling test. That would mean drivers would have a much better understanding of cyclists and a first hand perspective of cycling on the road. Also note to cyclists, pedestrians are softer than you and much more easily damaged so always have a care no matter what they do. Nice thought, but where would it stop? Every driver having to drive every type of vehicle before they get on the road? Plus, not every driver can go on a bike. I’m all for awareness of other vehicles being given more importance in driving lessons though. Can you share with us some links to where this is shown to be the case, or is it something you just imagine to be true? which suggests that cyclists are the more easily damaged. Note the report is (correctly) talking about rate – in absolute terms more pedestrians than pedal cyclists are casualties because there are more of the former, but that isn’t the right way to look at it. Seems to be about honours even among active travellers to me, though I haven’t heard of gangs of cyclists waiting to push pedestrians into canals. So a possible conclusion is, if you’re on a shared use path, perhaps have a care with cyclists around, no matter what they do. So, please help us campaign for more cycleway and footway separation. “You should be taking the bus”. The pointless MGIF overtake, the last-second pullout from a junction, the dangerous and sometimes terrifying close-pass – all followed by ignorant disbelief from the driver when confronted. It’s all too familiar and all too disheartening that it continues and deaths on the roads continue. It’s sad to think there may be no improvement in my lifetime. The one area I’m more on the fence is compulsory insurance. Lots have insurance via their home and CC but many don’t – or don’t realise. Ultimately accidents do happen, but it’s really frustrating when you have to bare the costs of someone else’s recklessness with limited or no recourse. It’s something I’ve gone back and forth on for a while. On balance I it should probably apply to all individuals, but cycling makes you more likely to cause damage to others than a pedestrian or public transport user, and it’s therefore more relevant. Fwiw I drive, motorbike, and ride bikes – fixed & geared, in /out of cities. I’m quite happy to sit behind a cyclist for miles if necessary in order to make sure that my eventual overtake is safe for both of us. Unfortunately not all of my fellow drivers share this outlook – the other week, I had a lunatic in a VW Touareg overtake me *and* the cyclist I was behind, on a blind bend. Fortunately nothing was coming the other way, but had there been anything approaching… well… yeah, it wouldn’t have been pretty. Increasing legislation for cyclists is obviously not the answer, it’s improving education and awareness for motorists (and some cyclists too, no doubt) – but with increased education comes increased costs, and “Government slaps more charges on already overburdened motorists” is not a vote-winning headline. Agreed. I have done the same – sitting at a safe distance behind a cyclist for even a few hundred yards will often irritate any motorist behind me, to the point that they will then attempt a dangerous overtake of the both of us to get ahead. I’ve often wondered whether me performing a slightly risky overtake of a cyclist would be worth it to avoid a reckless overtake by those behind me in the queue – but ultimately decide that no, it’s not. There’s an interesting take on the whole thing in the Guardian today – the comments are predictably anti-cyclist, but at least the article presents a somewhat balanced view. As a cyclist of over 40yrs, a motorcyclist and car driver I am always aware of a queue of traffic building up behind me and out of consideration for other road users, will either stop or mount the kerb at a pram slope and when traffic has passed by, re-emerge onto the road. Just as I would have expected a electric Milk float or tractor to do. Is it SO much to expect (Ask in fact) ALL cyclists to do the same in order to help reduce the aggression felt by many motorists? To sit behind a cyclist for miles, waiting for the time that YOU decide is safe to pass is causing an obstruction, no matter how justified you feel. Rather than the argument that all motorists should learn to ride a bike I might suggest that all cyclists learn how to drive responsibly and in particular, how to pass a cyclist safely. Apart from children and casual riders most cyclists on the road today only require a VERY wide berth if being passed by a bus, van or lorry and most cyclists will not swerve in the path of overtaking vehicles so there is not really a need for huge traffic queues to form in most cases. Yes, that probably is too much to expect. After all, not everyone has your fantastic ‘40yrs’ of cycling experience. Nor your amazing ‘pass a cyclist safely’ skillz or [crystal ball benefiting?] talent for discerning who is a ‘casual rider’… Perhaps an anger management course would ‘help reduce the aggression felt by many motorists’ better than pontificating about what you, wrongly, claim to be ‘an obstruction’ which travels ‘miles’ (a contradiction in terms, obviously)? It wasn’t you in that VW-branded motor car described in the body of the post or performing the dangerous overtakes past Sam and GazChap, was it? The latter also in a VW-branded motor car, I note—have they become the go-to replacement brand for Hackneyed motor taxis when it comes to reckless manoeuvres? So a cyclist riding on th road cannot possibly be viewed as an obstruction?? Same go for Horses and Sinclair C5’s by your silly reckoning by any chance. Obviously ANY vehicle or otherwise, which hinders the smooth flow of traffic is an obstruction and it calls on common sense on the behalf of the obstructer to notice this but I guess you have only been a cyclist for a short while and as such believe that forking out £2-3k for your steed gives you the RIGHT to stick two fingers up at every motorist that happens to be put out by your petty selfishness. I bet you find a lot of aggression on the road. Yes, a moving cyclist—or indeed a horsist, sinclairist or walkist—cannot, by definition, be an obstruction. Whatever your personal ‘view’. Go and check Blackstone’s on this one. I cannot help it that the law confounds your sense of entitlement concerning smoothly flowed [motor] traffic or professed fundamental human right to motor around where you like, when you like, how you like. You’ll no doubt be most ‘put out’ to learn that my fast (vroom, vroom) ten-speed bicycle was acquired by forking out the princely sum of £20 some 25 years ago. If it infuriates you further, I can also reveal it used to belong to a builder who chucked it over the nearest hedge wherever he was working rather than lock it up! p.s. The ‘two fingers’ thing is just us giving hand signals to you. Very considerate and law-abiding, you see. p.p.s. It will not have escaped anyone’s attention that you did not answer my questions. So, pretty much all motorised vehicles, a large proportion of the time, then? And certainly all parked cars. Or are parked cars somehow transparent to matter in your universe? Certainly its the experience of sitting motionless behind a long queue of near-stationary vehicles clogging up the entire road far into the distance, while realising it would have been faster to walk, is why I gave up ever using buses. Not to mention all those pavements and buildings. Just think how much more smoothly traffic would flow in London if we got rid of them all. It’s clear to anyone not blinded by ideology that the biggest obstruction to the ‘smooth flow of traffic’ is the private motor car, which takes up a hugely disproportionate amount of road-area for the number of people it transports. If you want a ‘smooth flow of traffic’, do your bit by getting your car off the road. Thanks. A great example of idiot car drivers that I am sure all cyclists have experienced. One that sticks in my mind – I was cycling behind a bus in London, easily able to keep up with it, so the cars behind me are all moving at the same speed as the bus. A BMW SUV is right on my back wheel being really pushy. When a chance presents itself, the driver roars past me – and is immediately having to slam on the breaks because there is a bus slowing EVERYONE down! Incredible!